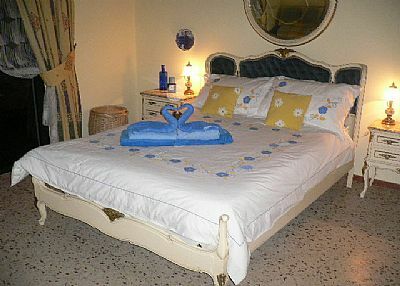 We have a fun Casa Albryna face book page for our family & friends, and lots of lovely guest reviews! We greet guests with a special welcome pack with choices. Pool Safety Fence. 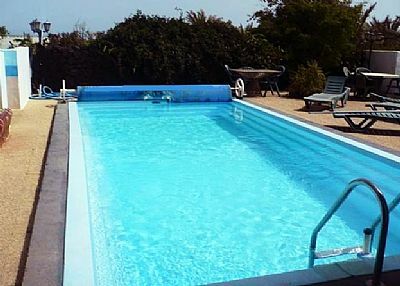 Guests with young children, a Swimming Pool Fence can be supplied & erected for a small fee. Enter the main gates for your allocated off road parking area. A garden pathway leads through to the private guest entrance. The high walled gardens & mature plants offer privacy, enclosing a Solar Heated Swimming Pool, surrounded by plants and trees, with both open and covered patio terraces with sun loungers, garden furniture, Gas Barbeque with BBQ tools and gas bottle. 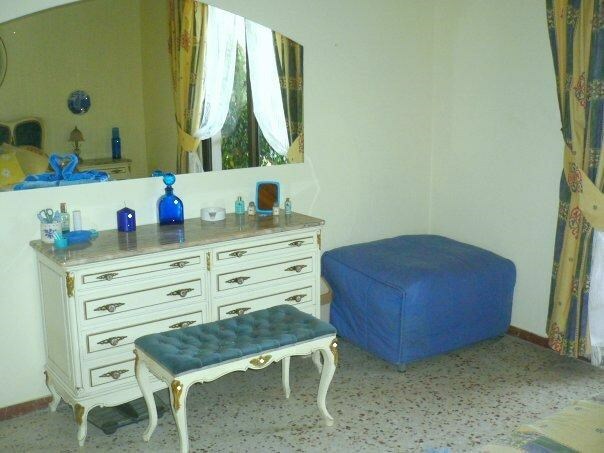 3 bedrooms and 2 shower rooms available. 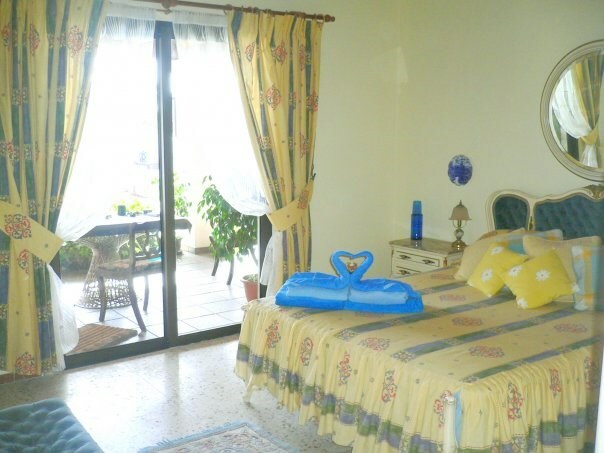 2 bedrooms have Patio doors opening onto the large covered veranda, with tables and chairs and a relaxing swing seat. Overlooking the Pool & Sun Patio. 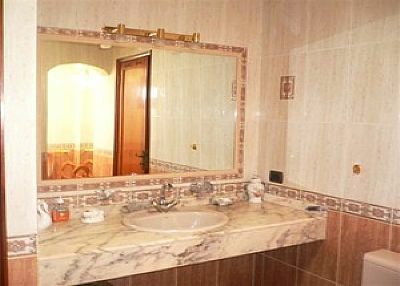 These 2 bedrooms share the main shower room. A 3rd Double bedroom available, set back from the pool area but still accessible to the pool through the Twin bedroom, With a conservatory lounge and large shower room en-suite. 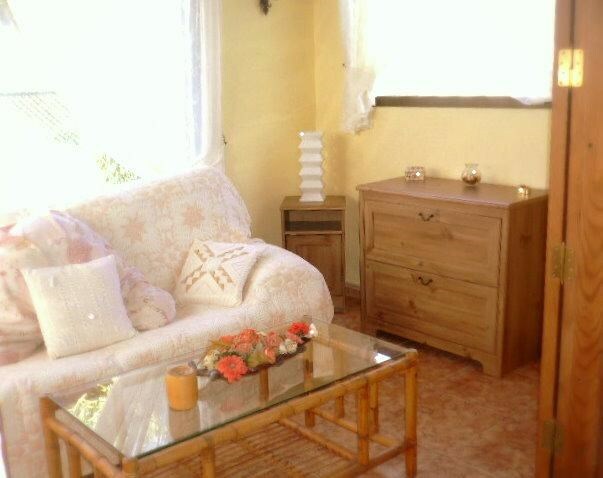 There is a lovely, bright, spacious family lounge with sofas. 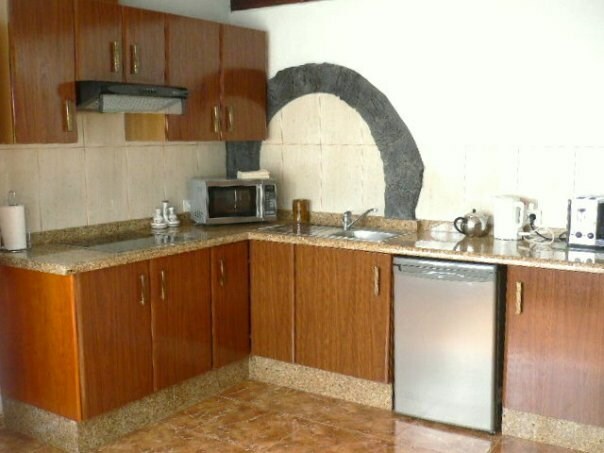 Including a well equipped Kitchen with Ceramic 4 ring hob, combined microwave/grill/oven, coffee maker, toaster, kettle, fridge/freezer etc. Plus plenty of china, cutlery & glasses. Also plastic ware for children and for use around the pool area for safety. Ironing board. iron and sewing box. An enclosed pool bar area with an extra fridge, for cool drinks and ice lollies. If you need anything more... just ask ! Great for alfresco dining, night and day. A Detailed Information Folder, updated regularly by our family & friends! 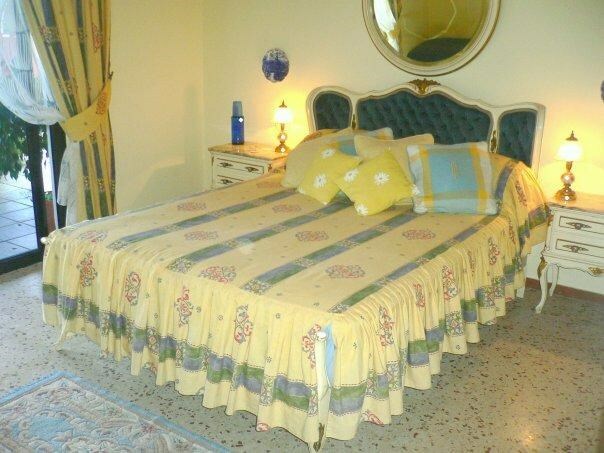 Bed linen, Bathroom Towels and Pool Towels are changed weekly. 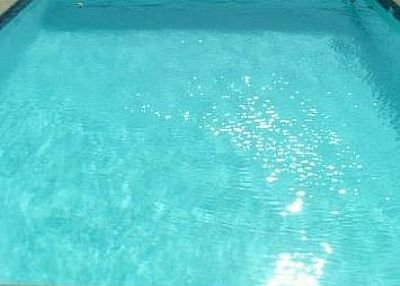 The pool is cleaned and the gardens watered weekly. Sometimes more often when needed. Privately owned, maintained by the resident owners. We meet and greet guests on arrival with keys, information, personalised maps, advice etc. and then leave you all alone, to enjoy ! We live within the grounds of the main property. Consider us your neighbours, only a phone call or text away should you need any extras, information, help or advice. Flexible arrival and departure days. Late departures. Our friends, family & personal guests enjoy all day on their last day at leisure. Plus extra £95 per extra person per week. We welcome 2 persons - up to 6 persons. 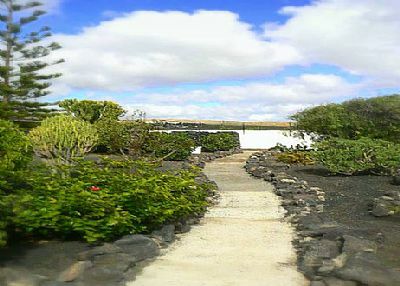 Lanzarote Villa Location. Rural, Country. 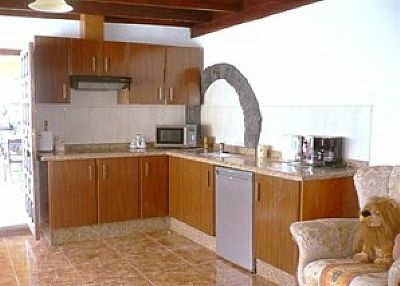 Away from the hubbub of the main resorts, but still within easy reach of Lanzarote Beaches and tourist attractions . 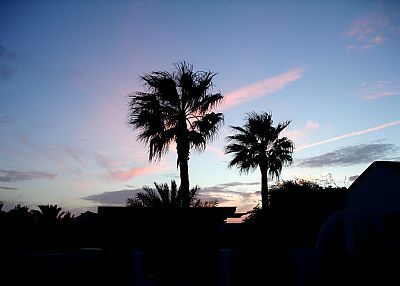 A central location leading to all parts of Lanzarote Island. 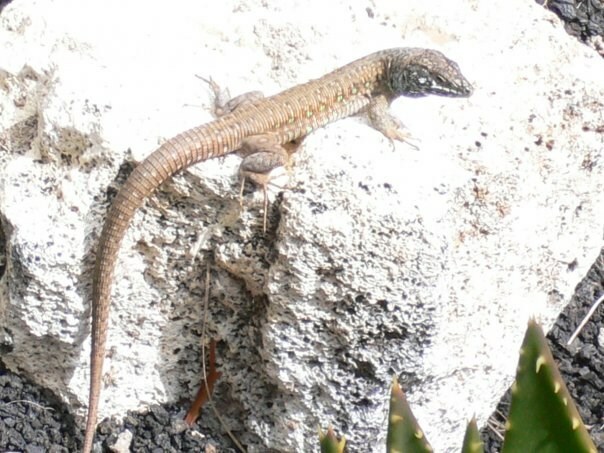 Located on the outskirts of the village of Tahiche. The the heart of Lanzarote. entertainment and water sports facilities. Our family & friends use a local Spanish family with very reasonable rates.- Autos Martina Car Hire Lanzarote - You can contact them directly - They do speak English. Or take a Taxi from the airport on arrival. Plus a more detailed map of the surrounding areas. A taxi driver will need our detailed map. It has never failed ! 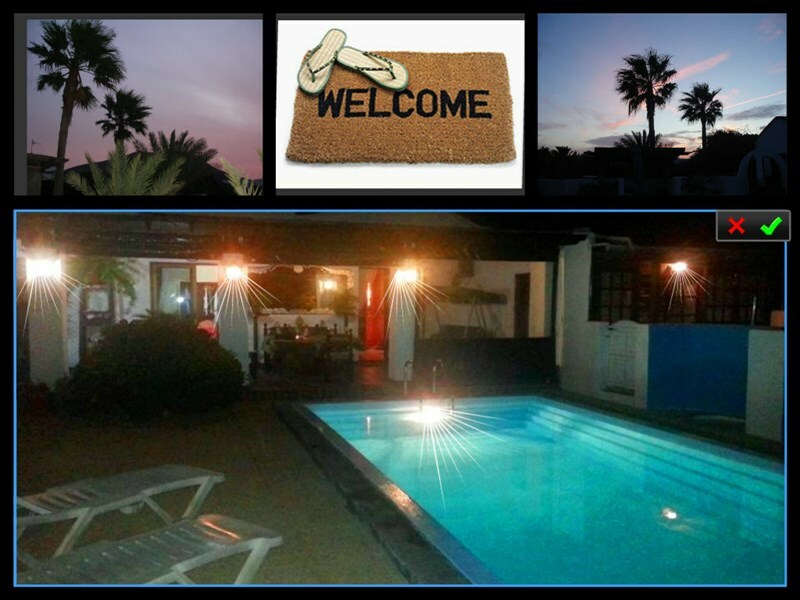 An ideal base in the heart of Lanzarote Never more than 40 minutes drive from ANYWHERE on the Island. To capture the natural beauty of the island, simply head for the North of the Island and the whole meaning of the beauty of Lanzarote will become apparent. South is pretty good too! Perfect, perfect holiday, perfect villa, perfect owners cannot fault any part of our recent stay, would highly recommend to anyone and everyone. Rural and quiet but within minutes of any amenities anyone could wish for. . . . . Like I said PERFECT ! A fabulous villa for a relaxing holiday. Perfectly placed for exploring the island , thats of course if you can drag yourself away from the swimming pool. Thank you for your kind review! We now also have Free WiFi ! So you will not have to leave the Villa ! Owners response: Thank you for your review. We are pleased you enjoyed your stay ! “Laid back and relaxed, first time I have rented a holiday property and did not feel compelled to clean cutlery on arrival. 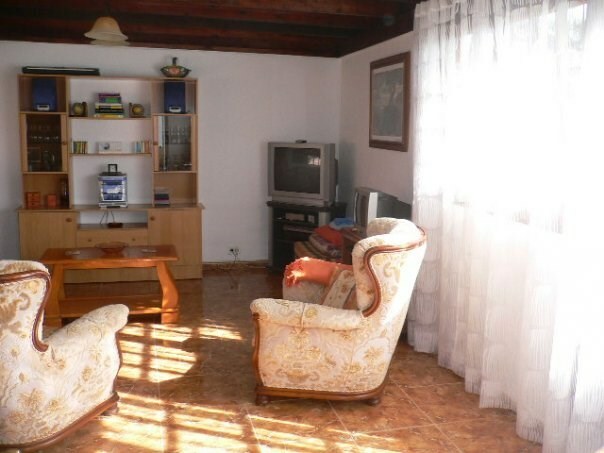 Location similar to home, centre of island, rural, but still close to everything important. Owners response: Thank you for your kind review. As resident owners we organise the preparation & cleaning ourselves. We believe this enables us to continue to maintain a high standard for our guests, a standard that we would expect, when we take a holiday in other private holiday homes. We thank you for leaving Casa Albryna in such a clean state. Always appreciated! We are pleased you enjoyed your last evening meal in one of our favourite restaurants! We look forward to your return ! Owners response: Thank you for your review. 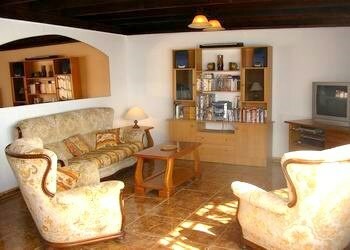 We also think this has become a very special Lanzarote home. We look forward to seeing you all soon ! Owners response: Thank you for your complementary review! So pleased you all enjoyed your recent stay! We also love this special place and enjoy sharing the character & warmth with our guests. Pleased you all liked the Archery! We look forward to your next family visit in 2013. Oh, and a big thanks for cleaning the BBQ ! Owners response: Thank you for your review. We are pleased you enjoyed your Lanzarote break. Thanks for leaving Casa Albryna so clean & tidy. We look forward to welcoming you both again! Owners response: Thank you for your complementary review. We are so pleased you all enjoyed your stay at Casa Albryna. Our pleasure is knowing our guests enjoy their stay! and Wow...You cleaned the BBQ too ! “A home from home! This villa has everything you need and more. Brynette and Alan welcomed us and gave us all the information we needed, then left us alone in complete privacy with the pretext that we could contact them anytime for anything. 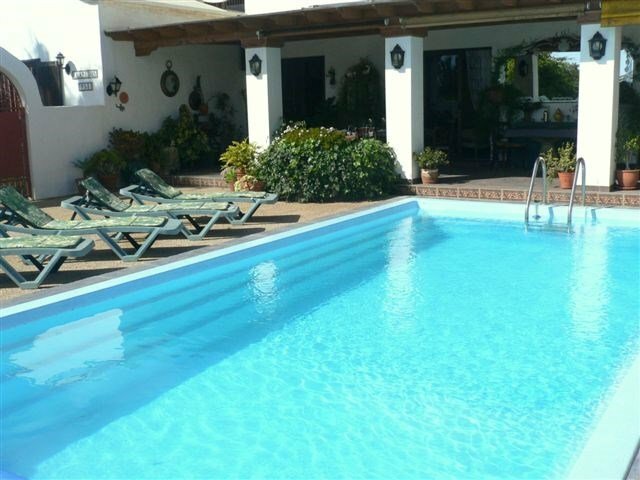 The other bonus with Casa Albryna which is different to the big villa companies is that you can stay as long as you like on your last day as they do not do same day changeover. This meant for a relaxing last day and no rushing out and hanging around in your going home clothes getting hot and sweaty before you have to leave for the airport. Owners response: Thank you for your kind review. We are pleased you enjoyed your stay. We abandoned same day change overs a long time ago! Guests with late departures can stay as long as they need. Thank you for leaving Casa Albryna in a clean state, much appreciated. Owners response: Thank you for your review. We are pleased you enjoyed your break ! 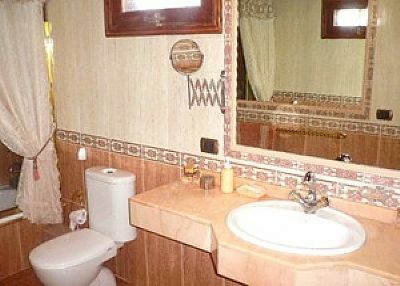 The Villa has everything and more. sun ,quite and good company. 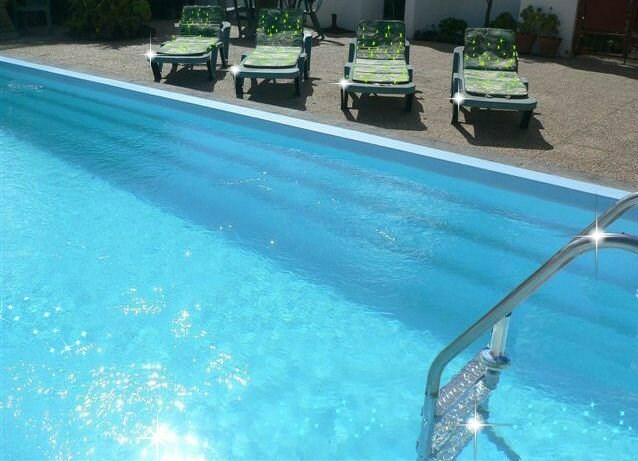 Whether you`re looking for a quiet retreat, a family fun holiday, an experience of Lanzarote life in easy distance from all the main resorts and natural wonders of the island then Casa Albryna is the place for you. 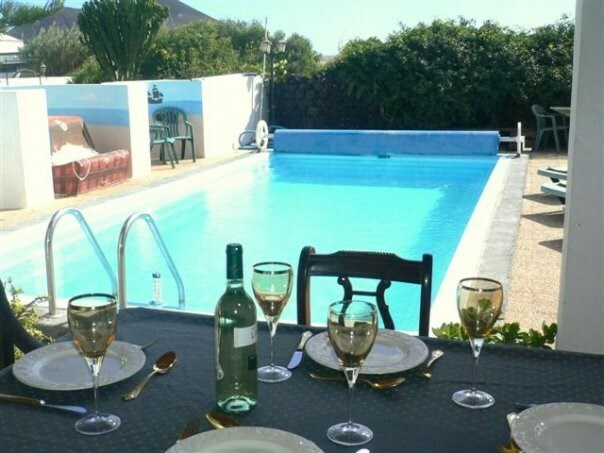 The owners Brynette and Alan are perfect hosts, equipping the villa with every conceivable want or need.The welcome pack is second to none and any request will be catered for.They leave you alone to enjoy your stay but are just a phonecall or text away.The pool is very clean as is in fact the whole villa. There is a wonderful array of ideas and attraction leaflets so if you`re at a loss as to what to do one day,there are plenty of suggestions.There is also a "bible" which gives you all manner of information concerning the villa, local maps, directions to shops and even a "pamper day" service from a lovely lady called Lisa who will come to the villa and make you feel wonderful. We loved our stay at Casa Albryna and will definitely be back next year. Thank you for your kind review ! We are pleased you enjoyed your stay! The pamper day visits are very popular. 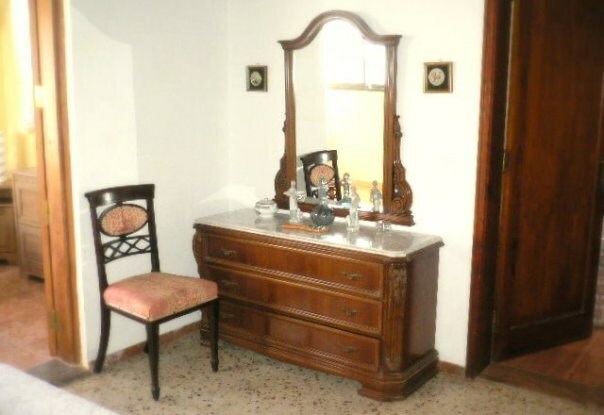 Review submitted by Feargal from Surrey (Submitted: 17 Aug 2010) We had a great time at Casa Albryna. The place is fantastic. The pool was 30°+ most of the time. ist time in Lanzarote. Well worth the trip. Will come again. Our hosts - Brynette and Alan - really are the best. They could not have been more helpful. Highly recommended Owner reply: Thank you for your review ! Third time at this Villa. Great for Kids. Lots of Space. Something new at this Villa everytime we visit. A luxury family home. Our kids did not want to go home.